The Sony NEX cameras are among the most popular mirrorless cameras, but so far it has lacked great zoom lenses. Sony has together with Zeiss introduced two new constant aperture zoom lenses at the same time. For many it is going to be a choice between these two lenses. There aren't any reviews or comparison of these products yet, but based on the information that is available it is possible to make a qualified guess on how these lenses will perform. 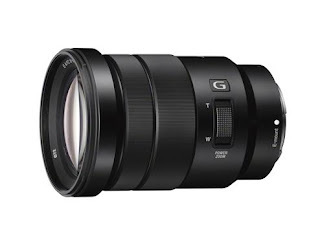 This article will focus on the Sony E PZ 18-105 mm F4 G OSS. The constant aperture on a zoom lens will in most cases mean that you have great image quality and I think that we can expect it from this lens two. Besides having a constant aperture it also have a great zoom range. The size of the lens is big compared to the NEX cameras that it is going to be attached to, so you must be willing to go on a size and weight compromise to use this lens. If you want to go small I think you should better go for the Zeiss Vario-Tessar T * E 16 - 70 mm F4 OSS ZA, but you will pay by having a small zoom range and lens doesn't have a power zoom function. Image quality wise they is most likely very close to each other, so it is going to be a hard choice. If you are willing to put this large lens on your small NEX camera it looks like a great combination lens that could be mounted on your NEX camera 90% of the time, so this lens could be the most important purchase beside the camera itself and remember that the lens is just as important as the camera when it comes to image quality. If I were to purchase one of these lenses I think I would go for the Zeiss Vario-Tessar T * E 16 - 70 mm F4 OSS ZA as it just seem to fit better with the NEX cameras as one of the main reason for me to get the NEX camera is the size and then you should continue that line in the choice of lens. One of the main reasons that can make you go for the Sony E PZ 18-105 mm F4 G OSS is the price. Surprisingly it is $400 dollars cheaper than the Zeiss Vario-Tessar T * E 16 - 70 mm F4 OSS ZA, which is a lot when you compare that these two have a lot of specifications in common. Index sites have been updated!